It&apos;s the annual season for taking breaths away. Everything in Albuquerque gets dressed up, from trees to houses to friends. There are reds, greens, blues and silvers everywhere you go, and each person looks more jolly with the lights from strings of holiday lights grace their faces. 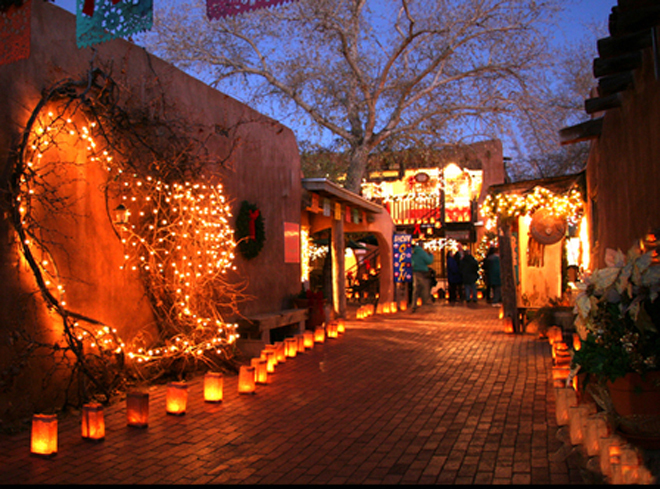 Check off each of these events as you countdown to the holidays in Albuquerque. I love parades. They are free, fun and an easy way to get outside and see friends. 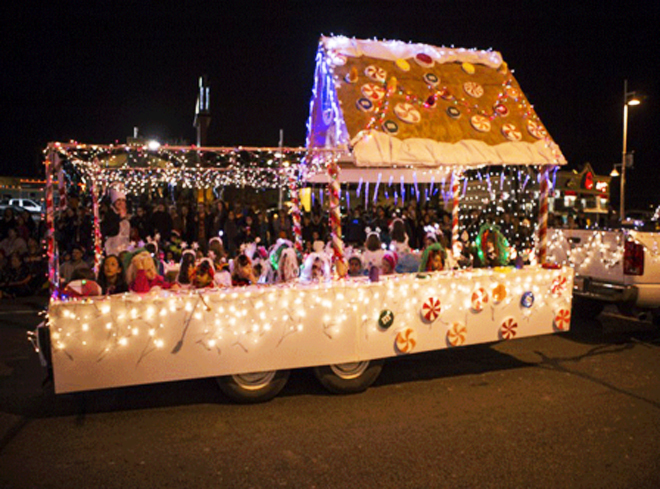 Begin the most wonderful time of the year by attending the annual Twinkle Light Parade in Nob Hill. This caravan of clear and colorful lights will blow you away. The total number of twinkle lights totals over 300,000 lights and will be a sight to see! Join in the fun and be dazzled and delighted by dozens of floats, marching bands and equestrian clubs. To wrap up this evening of holiday cheer, Mr. and Mrs. Claus will be making an appearance! Interested in holiday shop & strolls around the city? Click here for more information. 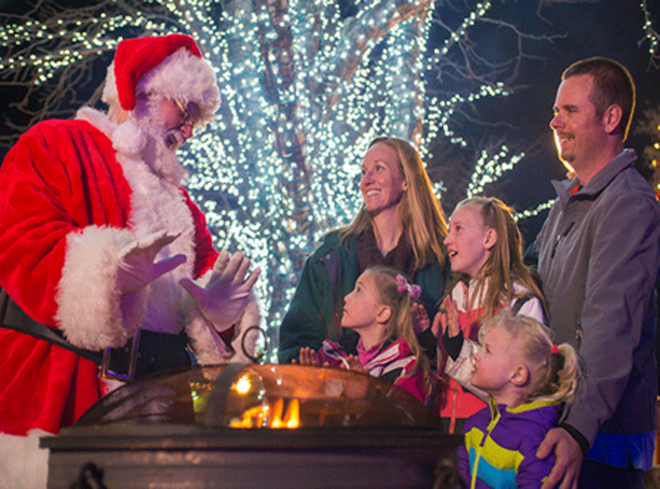 Create a new annual family tradition at Cliff&apos;s Magical Christmas. The amusement park opens special for the holidays with a 120-foot tall Christmas tree that was named a "Top Tree to Visit" by USA Today. Of course along with this behemoth of a tree, there are exceptional rides, delicious food and an appearance by the man with the plan: Santa Claus. Have you ever seen a rhino, a Cheshire cat and a T-Rex all living harmoniously in the same park? There&apos;s only one time of year when they do. 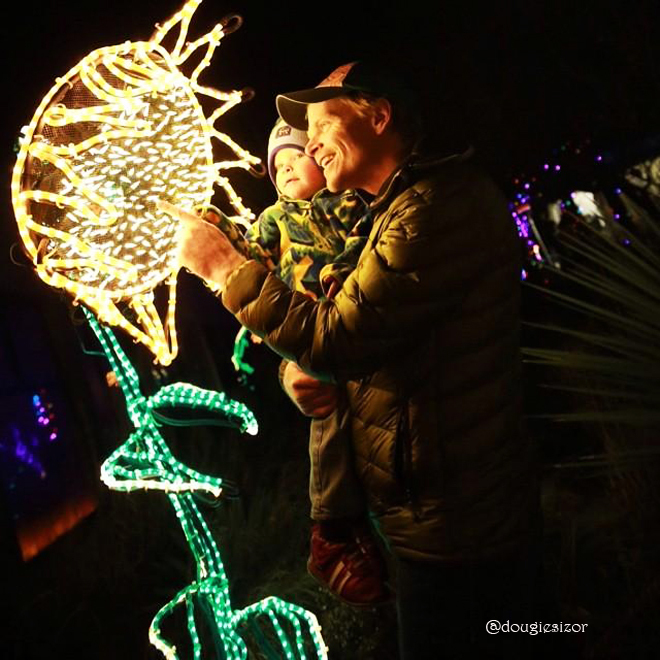 The ABQ BioPark Botanic Garden is home to the River of Lights, New Mexico&apos;s largest walkthrough light display, with many mythical and true to life figures presented in dazzling lights. There will also be live music, crafts and a model railroad. The Polar Bear Express is also in service, which is an enchanting ride aboard the Rio Line Train that brings the whole family to see Santa Claus. Check out this post about River of Lights from our blog archive for more details on this signature Albuquerque event. For more information on holiday traditions in Albuquerque, click here. Dress in warm cozy sweaters, grab your earmuffs and celebrate the holidays as ABQ Ride takes you around to the most festively adorned areas around town. It&apos;s the perfect date night as you see places like Old Town, the Albuquerque Country Club, and a variety of other bright spots across the city. Even if your baby says it&apos;s too cold outside, this is a must-see event and a perfect way to spend Christmas Eve. Tickets go on sale the day after Thanksgiving and typically sell out fast! Buy tickets here. Other options for luminaria tours include decorated bike tours and the Trolley of Lights. For more information on the history of luminarias and where to see them in Albuquerque, click here. Bring family, friends, coworkers or classmates to these events and celebrate the season in the brightest way. Happy Holidays! Sign up for our monthly ABQ365 email newsletter for more information on events in Albuquerque. Use the hashtags #ABQ365 and #ABQevents to stay connected on social media! Lara is a transplant from Kansas (we're not in Kansas anymore!) yet is fully acclimated to both Albuquerque's elevation and the green-chile-on-everything mindset. She is a student at UNM, loves hiking and picture-taking, and can be found anywhere that guacamole is sold. Lara was an intern for Visit Albuquerque until December 2015. The opinions shared on this blog are her own.